Oriel Ross was born on June 10, 1902 in Chalgrove, Oxfordshire, England as Muriel Mary Swinstead. 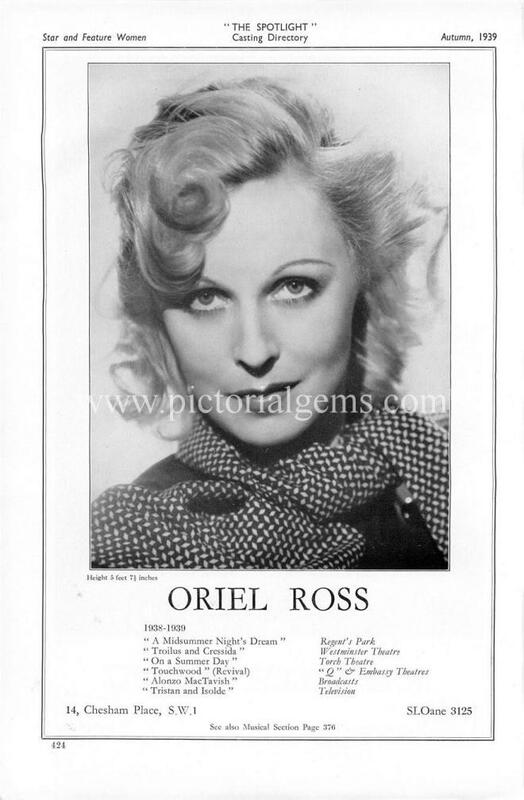 She was an actress, known for Tristan and Isolda (1938), The Loves of Ariane (1931) and 'Pimpernel' Smith (1941). She was married to Earl George Amias Fitzwarrine Poulett 8th. She died on October 20, 1994 in Hoxne, Suffolk, England.